Albuquerque Beer Scene: Spin the Bottle or Kick the Can? Sierra Nevada must have seen the success Santa Fe Brewing has had with its Happy Camper IPA and seasonal releases in cans and went out and got themselves a canning line. Perhaps Santa Fe had nothing at all to do with it, but I have to give them credit for being the first NM craft brewery to can their beers. 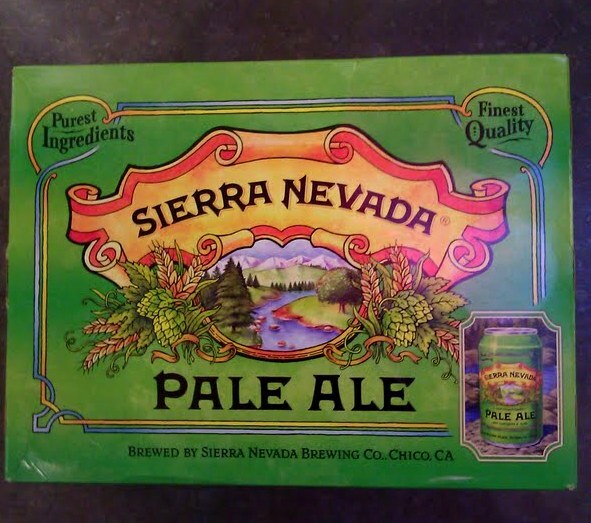 You can now get the classic Sierra Nevada Pale Ale in canned form- and if a brewing pioneer like Sierra is doing it, does that mean cans are the future for all breweries? We've seen Fat Tire in cans; Oskar Blues has exclusively canned their beers for years, and La Cumbre will soon be canning their GABF Gold medal winning Elevated IPA. Sierra will soon be releasing Torpedo IPA in cans as well, leading me to wonder: how cost effective is it to have both a bottling and canning line? Will the canning line eventually win out, and all Sierra beers end up in cans? Will our other local production breweries explore the benefits of a canning line? Keep your Earthlink or Prodigy subscription current for answers to these and other beer questions. You should see the Sierra cans popping up everywhere, but I first saw the 12-packs at Kelly's on Wyoming for $13.99. bring on the cans. preferred, especially since some communities around here don't recycle glass. one in particular comes to mind.